Chin Chao Industrial Co., Ltd. - Vise,Power Vise,Hydraulic Machine Vise,Tilting Hydraulic Machine Vise,3-Way Angle Milling Vise,Sharping Machine Vise,Air & Hydraulic Machine Vise,Maker Vise,Angle Lock Machine Vise,Vise In-Row,Horizontal And Vertical Rotary Table,Dividing Head,Clamping Kits,Collets Holder,Collet Chuck,Micro Boring Bar,Twin-Big Bouch Boring Head,Finish Boring Head,Tapping Chuck,Hydraulic Power Chuck,3-Jaw Scroll Chucks,4-Jaw Scroll Chucks,Live Center,Ancular Permaent Magnetic,Z-Zero Setter,Touch Point Sensor,Arm Type Air Tapping Unit,Precision Drill Grinder,Endmill Machine,Keyless Drill Chuck, Milling Machine Accessories,Lathes Accessories,Grinder Accessories ,Drilling Machine Accessories,Measuring Instruments. Ø The vise is mainly suitable for clamping large workpiece or adjusts the position of clamping, according to the sizes of the workpiece. Ø Angle lock semi-sphere can be generated under the power of the lock, remove the floating workpiece. 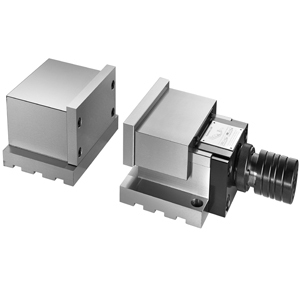 Ø To put on the workpiece directly for enhancing steady clamp, they are different than other separate vises. 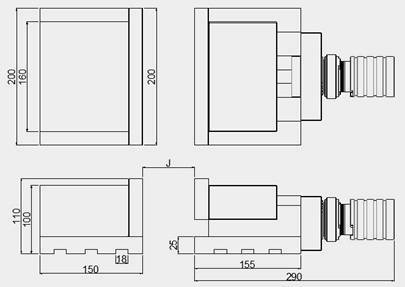 Ø Vise body material is high ductility of spherical graphite cast iron (FCD600), vise both sides of the slide hardened heat (HRC50 °), ensure high precision and high wear resistance, high tensile strength. Ø Jaw hardened heat (HRC55 °). Copyright © Chin Chao Industrial Co., LTD.